The Committee received presentations on the Annual Performance Plans and budgets of the Department of Social Development and its two agencies that day following the preliminary discussions of the previous week. The concerns of the previous week had been resolved. The responsibility for the Annual Performance Plan lay with the relevant department and the succession rule in Parliament determined that a new incumbent had to take over all work that had been undertaken by the former Minister, as well as those plans that already existed. The work was not reversed. The Minister had agreed to proceed accordingly and would take ownership of the APPs that were to be presented that day. The Minister indicated that it was critical to move away from a welfare state to a developmental state. The Department was developing benefit policies at a repaid pace, but they could not be afforded in the current economic climate. The country was going to end up with a welfare state that South Africa could not afford. The Department had to re-position itself. The Minister apologised for the fact that beneficiaries feared they would not receive their benefits. There was no confusion, except that created deliberately by those who wished to sabotage the process. The tender for the cash payments to 2.5 million beneficiaries had been halted because there had been challenges in the tender process that could have led to court cases. The Minister wanted the Social South African Security Agency (SASSA) to be managed without the courts. The situation could be corrected in the time available. The Department had filed the suspension with the Court on 23 March 2018. She was not looking for an extension of the Cash Payment Services contract as the matter of appointing a suitable service provider to distribute cash payments would be finalised within the current timeframes. She assured Members that those beneficiaries who were paid through commercial banks, merchants, ATMs and cash pay points would all continue to get their money in the same way as they had in the past. The Department of Social Development had planned a number of key legislation for 2018/19, all of which would have to be reviewed by Cabinet. Legislation included the Social Assistance Amendment Bill, Draft Regulations on the Social Assistance Amendment Act, a draft policy on the Universalisation of the Child Support Grant, and a policy on mandatory cover for retirement, disability and survivor benefits. The White Paper on Social Welfare would also be finalised in 2018/19. The Department of Social Development informed the Committee that the Department’s budgetary allocation for 2018/19 had increased by R345 million. The increase was intended for the compensation to beneficiaries for the VAT increase and to improve ICT in the DSD. The Committee asked if there was any duplication during the outreach programmes as other organisations were also involved. They noted that the programmes allowed for good interaction but asked if the cost was worth it when the programmes did not seem to yield a change. Members asked whether there was any control over the food programmes. How did the Department spend so much on cooked food at the Community Nutrition and Development Centres? Who was accessing the food? How was the Department going to respond to the challenges in the Centres? Members asked whether the Department had a mechanism to assess the impact of the programmes on the lives of people. Would the Department be filling all vacancies, including posts in the CEO’s office where nine out of ten executive managers were in acting positions? The budget allocated funds for office accommodation but could the funds go to where the officials were working in the provinces? Members asked what the Department was doing about the non-profit organisations that were not being paid? Was the money given to provinces and, if so, why was it not reaching the non-profit organisations? What had happened to the food parcels that people had not received and what had happened to those who had not received food? Why was it, in effect, the decision of the ward committee and councillors as to who got food? How would the Department monitor the provinces? How far was the Department in terms of the deadlock in foster care? Was the system of multidisciplinary teams working in the youth care centres and places of safety? How was the Department going to monitor the implementation of the Amendments to the Children’s Act? The National Development Agency Board indicated that many of the vacant senior positions in the entity had already been filled with permanent staff. The National Development Agency was a government entity and she requested the Committee to provide support to enable the National Development Agency interventions. The Agency was better able to alleviate poverty by working with organisations in the community through collaboration with government departments. The aim for of the National Development Agency in 2018/19 was to develop a comprehensive database of civil society organisations that could be accessed directly by government and civil society. The core function of supporting civil society organisations was to be expanded by increasing assistance to organisations from the current 3 500 organisations to 8 500 organisations in 2018/19. There would be a focus on those organisations working with people living with disabilities. The Agency would implement a monitoring and evaluation system to determine its impact on civil society organisations. The Agency explained that Treasury had to reduce spending by R 85 billion and everyone was expected to contribute toward that reduction. The 2018/19 allocation gave the Agency a budget of R202.5 million compared to the 2017/18 budget of R200.9 million, an increase of 0.8%. The Agency would do more with less by ensuring higher production. In 2019/20 and 2020/21 the allocation went back to a 6% year-on-year increase. The Agency had already implemented strict control of travel and accommodation costs and meetings were to be consolidated to reduce costs. Members asked how frequently organisations were monitored? How sustainable were all the cooperatives and civil society organisations? How long did it take to identify a CSO, and did the Agency assess the direction the organisation wanted to take? How did the Agency fit into the population development policy as that would help with research? The Social South African Security Agency (SASSA) reported that the former CEO had requested to go back to her previous position of Regional Manager in KwaZulu-Natal. A new Acting CEO of SASSA had been appointed. SASSA assured the Committee that it had complied with all requirements of the courts and SASSA had entered into an agreement with the South African Post Office to deliver services. The Agency had already insourced a number of functions including beneficiary enrolments using biometrics, and the management of the fund. There had been a growth in the number of beneficiaries accessing grants. The programme to use biometrics would intensify as biometrics would ensure that there was no double-dipping. All staff would use biometric access management to prevent fraud by staff using a password belonging to a co-worker to commit fraud. Within the reduced budget, SASSA would re-prioritise to make sure that the social security services did not suffer. Labour relations had been incorporated in the Annual Performance Plans so that SASSA could focus on consequence management. SASSA would also work on the infrastructure review plan, especially of the service points.130 000 foster care grants were due for renewal and SASSA would work with the Department of Social Development on the issue of foster care grants. The salient features of the budget were that the bulk of the Agency's budget, about 92%, went towards contractual obligations. The cost of the contractual obligations had increased in tandem with factors such as the Consumer Price Index and expansion aimed at improving service delivery. The increase of Value Added Tax by 1% would have a significant impact on the budget, especially as adjustments had to be made to the VAT increase on the contracts that SASSA had procured. The baseline for 2018/19 was R 8.2 billion, including the return cash surplus. The bulk of the money would go into grants which had increased to take into account the Value Added Tax increase. R400 million would be spent on ICT and handling fees were R2.3 billion. Members wanted to know if all executive management level positions would be filled, including the vacancies in the CEO’s office. The Committee expressed its concern about access to grants in rural areas. How did the reduction in cash points impact on rural areas? SASSA had spoken of a network upgrade in 116 offices. How were those 116 offices spread across the provinces? What infrastructure did SAPO have? With all the lease payments that SASSA was making, could SASSA not rent to buy? Why was SASSA involved in construction and not in grant payment? Was construction not the realm of the Department of Public Works? The Committee was happy with the manner in which the Department and its entities had presented their strategic outcomes, Annual Performance Plans and budgets for the 2018/19 financial year. Members were delighted to hear the quality of the presentations and the competency of the presenters. They appreciated the manner in which the Minister had shared the vision of the Department which was in line with the new dawn promised by President Cyril Ramaphosa in his State of the Nation Address. The Chairperson welcomed the Members, the Department of Social Development (DSD), the South African Social security Agency (SASSA) and the National Development Agency (NDA), as well as the media and other attendees. She informed the Committee that the Minister was on her way from the Cabinet meeting. She welcomed the Deputy Minister, Henrietta Bogopane-Zulu. She explained that the budget was urgent and that the Department and agencies had to complete their presentations that day. She was concerned that there was a sitting in the House that afternoon and, if the Committee had not completed its work by the times of the sitting, she would ask permission to complete the business of the meeting before joining the House. She requested that the Committee deal with other matters while the Minister was awaited. Apologies were accepted. The Minister was responsible for the product being presented by the Department and the agencies, i.e. the Annual Performance Plans (AAPs) for 2018/19. The Minister would present her comments when she arrived. She suggested that the Department of Social Development should present first. The Committee agreed. Ms V Mogotsi (ANC) questioned whether the Chairperson could share with the Committee the discussions of the previous week. The Chairperson reported back to Members on the discussion with the Minister the previous week. The legal advisors had suggested that the Department should have raised the issue about the APP not being signed by the Minister prior to the meeting, but that it was the Department’s document and the Department was responsible for producing the best possible document, considering its circumstances. Secondly, the Minister had not wished to accept the Annual Performance Plan (APP) the previous week as she had thought that the process was not correct because the APP had been signed by the previous Minister and not herself. As Ms S Malgas (ANC) had stated, the succession rule in Parliament determined that a new incumbent took over all work that had previously had been instructed by, agreed to or signed by the previous executive member. The new Minister had to take over all work that had been undertaken by the former Minister as that work and those plans already existed. The work was not reversed. She had asked that the DSD articulate what it had done to resolve the issues raised the previous week. The Minister arrived, and the Chairperson welcomed Minister Susan Shabangu. The Department was ready to work with her. She asked if the Minister had sorted out the concerns of the previous meeting as she had reported to the Committee on the resolutions of the previous week’s concerns. She asked the Minister to give the Committee political direction. 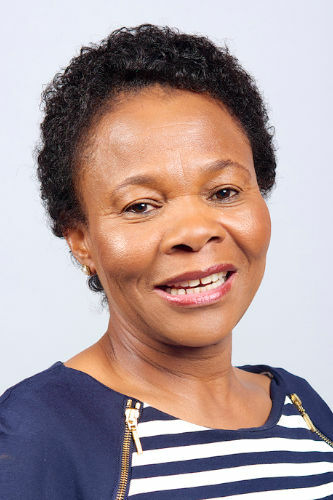 Minister Shabangu said that subsequent to the previous week, she had looked at issues raised by the Committee and agreed that she would proceed with what had been prepared under the previous Minister. She would abide by the succession law. She would take ownership of the APPs that were to be presented that day. The Acting CEO of SASSA had requested to go back to her previous position, that of the Regional Manager in KwaZulu-Natal. The new Acting CEO was the CIO of SASSA, Mr Abraham Mahlangu. She explained that CIO referred to the Chief Information Officer, which was the person in charge of Information Technology. The Minister was looking at the vacancies that needed to be filled. She had selected someone from the head office to act. Pearl Bhengu had gone back to KwaZulu-Natal. The Minister said that the meeting would go through the various APPs, starting with the Department so that she would be around when they presented. The entities would follow. The entities and the Department had looked at the budgets and they had endorsed the budget. DSD would present its plans as per the provisional structure of 2015 as the budget had been done in terms of that structure and not the fully approved structure. The Acting DG would take the Committee through the DSD APP. The Minister mentioned that she was with the Deputy Minister. Welcoming her was not an after-thought, and she apologised for not acknowledging her Deputy as she rushed in from her last meeting. The Chairperson referred to the issues that had been ironed out. When there were additional matters, such as a reduction or expansion of officials, the Minister would request an adjustment. That would reassure the Committee that any shortages or excesses would be addressed. There were also political matters that the Minister would have to take note of. The Committee had an agreement that there would be strong monitoring during the transitional period in SASSA. The long queues to access services were an issue. People were not being served and the attitude of the officials was problematic. People had to go to the offices three or four times to get served. Officials blamed their IT system for being slow. She related a story of her interaction with a manager who was arrogant during her interaction with the individual. The manager had said that the computers were always down and also the systems were slow, and she was in Bizana, so she did not know what was happening in Pretoria. The manager could not give the Chairperson a number that beneficiaries could contact if they had spent days in the queue and needed assistance. In following the court judgement and the process of extension, SASSA people were not encouraging people to take up bank cards; they were forcing them to take bank cards telling them that they would not be attended to if they did not have a bank card. Meetings were addressed by SASSA officials where they said that CPS had not been appointed so there would be no cash pay points. At more than ten meetings in the Eastern Cape, people had been told there would be no pay points. Those people who were not bankable and had been given SASSA cards were being taken to banks and were not being told that they would pay bank charges. That was occurring especially in Port Elizabeth, East London and in OR Tambo District. They needed to be told that the South African Post Office (SAPO) would supply cards. The Chairperson wanted the Minister to know that the transition had to be in accordance with the court judgement and things should not be done differently. Those issues had to be vigorously attended to. Ms B Masango (DA) asked if there had been initiatives telling people to obtain bank cards, but people needed to be able to make their own decisions whether banks were more convenient. However, they needed to know about bank charges. Did that link to reports that said that the Minister had halted the procurement of the cash pay point service provider? She wanted options left open because the law stated that people should be given a fair opportunity. Her question to the Minister was whether that had anything to do with the halting of the service provider tender processes. Dr Q Madlopha (ANC) said that it was disappointing to hear that the tender had been withdrawn as the Committee had understood that the pay points would continue. The banks were not going to subsidise charges and so she could imagine that people would have to be pushed towards banks. She thought that the response of the official to the Chairperson should be followed up as he did not understand Batho Pele. It was unacceptable, and out of line. The Chairperson told the Minister that she had gone to an office where even newly born babies were waiting in line all day. There should be an indication early on to those in the queue if they were not going to be attended to. The Minister apologised for whatever had happened in the disbursement of money to the people. She wished to clarify where she was with the process. There was no confusion, except that created deliberately by those who wished to sabotage the process. The tender for the cash payment to 2.5 million people had been halted because there had been challenges that would have led to court cases. She wanted SASSA to be managed without the courts. When the last order was issued, she had realised that there was a challenge that could end up back in court. SASSA could not continue to frustrate the courts. There were challenges to the tender and she needed to act on the situation because it could be corrected by herself if she managed the process quickly and properly. The Department had filed the suspension with the Court on 23 March 2018, pointing out why the tender was being suspended. The report had been submitted on Monday and it had further endorsed the halting of the tender process. She was not looking for an extension of CPS and she wanted the matter to be finalised within the current timeframes. Those who were paid through commercial banks, merchants, ATMs and cash pay points would all continue to get their money in the same way as they had in the past. There was no new mechanism for payment of any beneficiaries. She asked the Chairperson for the name of the manager who had been unhelpful, and she would be investigating the situation in the Eastern Cape where people had been persuaded to take bank out cards. People wanted biometrics and not pin numbers. They could continue with the biometrics identification. The cash payment system would not be interrupted. In future, there would be ATM, merchant and cash pay points. The elderly and disabled did not want anything different. When the Department had gone to court for the extension of CPS, it had had a back-up plan, which even included using buses to take people to pay points. The issue of queues was a challenge and it had been going on for some time. Some pay points were in small church halls and had no facilities. She would ensure that a plan was developed to address the queues. She would also investigate the IT systems that were down. Sometimes it was done deliberately as that created an opportunity for people to take R10 from the beneficiaries. The Committee was correct that the Department could not pay the bank charges, but it was the beneficiaries’ right not to go to banks. If officials were forcing them to do so, it had to stop. Regional managers were coming to the launch of the card swop and she would address issues with them and explain what had to be done when the system was down. The status quo remained, and the Department would comply with the court order. The challenge was that as the Department moved towards its first cash payment, Grindrod was charging R10 per beneficiary. The Department was challenging that decision as there was no agreement that allowed Grindrod to charge R10. Grindrod had an arrangement with Treasury to do cash transfers for three months only. When SASSA went back to court in September, SASSA had to tell the court that CPS was gone. By the end of June, there had to be a clear plan as to how that was to be managed. Officials had to respect the Chairperson, not only as a Chairperson, but as a person. Mechanisms were in place for new applications to be made prior to the payment date each month. However, the new applications would prolong the queues for a time. She explained that she was new and might well say things out of turn, for which the officials would call her to task, so the officials would provide further details. Beneficiaries had a date on their slip indicating on which day they had to collect their money, but some beneficiaries went to the offices whenever people started getting money as they were in need of the money. She felt that a loud hailer might be necessary to alert people when to get their money. She told how she had seen an elderly woman collapse whilst standing in a queue. If people were treating beneficiaries incorrectly, they were in the wrong space and needed to move. The Chairperson thanked the Minister. Ms Neliswe Vilakazi, Acting DDG Department of Social Development, presented the DSD strategic outcomes and the APP as well as the budget. She said that the strategic outcomes had been aligned to the strategic objectives of the Department. There were 62 targets prioritised for the year in Programmes 1 to 5. In Programme 1, the Department aspired to an unqualified audit report by 2018/19. The Department intended to ensure that there would be integrated planning for the future by implementing NISIS, which was the National Integrated Information System, as well as enhancing the existing framework and updating existing data sources. The Department planned to implement an oversight framework to ensure that the entities were fully compliant and to facilitate assessment. Programme 2 targeted ensuring that all eligible beneficiaries received benefits. Under Programme 3, the Department would submit a number of Bills to Cabinet, including the Social Assistance Amendment Bill, Draft Regulations on the Social Assistance Amendment Act, a draft policy on the Universalisation of the Child Support Grant, a policy on mandatory cover for retirement, disability and survivor benefits and a policy on voluntary inclusion of informal sector workers in social security. Under Programme 4, the Department would submit the White Paper on Social Welfare to Cabinet as well as the Social Service Practitioners Bill, in addition to a whole range of legislation, policies and programmes, focussing on children, persons living with disabilities, gender-based violence, and a reduction in HIV and risky behaviours. There would be an assessment of the Integrated policy on ECD services and a National Plan of Action for Children in South Africa by 2018. The Department intended to implement uniform guidelines for provinces to strengthen the delivery of social services in the provinces. In addition, the Department would develop the phase 4 plan for the Extended Public Works Programme in the sector. The Population Policy and Eradication of Poverty policies were also planned for. A number of other programmes, policies and legislation would be submitted to Cabinet for approval. Mr Clifford Appel, CFO, Department of Social Development, stated that the Department’s allocation had increased by 7.5% from 2014/15 to R200 billion in 201/21. The budget for 2018/19 had increased by R345 million. The increase was intended as compensation for the VAT increase and to improve ICT in the DSD. Budget increases included an amount of R18 million that had been reprioritised from line functions to fund centralised services in Administration for office accommodation, Information Technology and communications and fleet services. R2.6 billion over the MTEF was approved for the increased taxation from 1 April 2018, which would have an impact on the Social Grant beneficiaries. 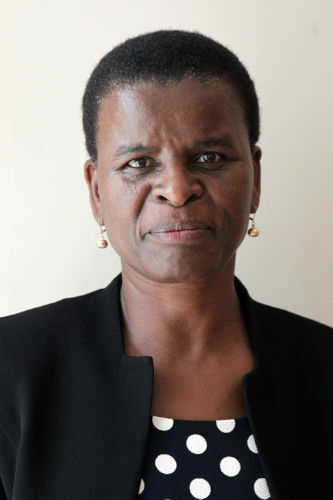 Budget decreases included Social Grants which were reduced by R500 million in 2018/19 because of delays in finalising the legislative provisions for extended child support for double orphans; a reduction of R30 million over the MTEF for the National Development Agency, R 273 million over the MTEF for Social Relief of Distress, and R 43 million over the MTEF from the Department of Social Development Operational budget. The Chairperson thanked the Department for the presentation. She informed Members that the Committee’s request not to attend the House sitting had been approved as it was critical that the Committee completed its work with the Department and the entities. The Portfolio Committee wanted to see a reduction in duplication of the outreach programmes because it was very costly in terms of S&T, travelling and such expenses. It was a good interaction, but it was really costly in terms of personnel and did not yield a change. She was asking if there was any duplication during the outreach weeks. One example was the Golden Games, but the same people attended, it was never expanded, and it made no significant change. The Committee had asked the CFO and he had said that he even needed to transfer funds when the officials went on outreach programmes. She explained how extravagant the functions were, the amount of food provided, the carpets etc. The Committee did not believe that the extravagance was necessary and was asking for an operational plan with a detailed budget for each particular outreach programme so that the Committee could carry out its oversight role. She had expected the matter to receive some attention in the presentation as it had been a concern. She noted the good results of matriculants who were SASSA card holders. They performed excellently in the National Senior Certificate. But the programmes were never rolled out to all beneficiaries. Projects needed to be piloted and then rolled out if they were successful. They should pay attention to overspending and ensure consequence management for the things that did not go well. The Auditor-General had frequently raised the problem of over-spending. Regarding the food matter, that was the Community Nutrition and Development Centres (CNDCs), she could see that the CNDCs were miles apart from the Special Programme for Food Security (SPFS) as rolled out by the Department of Agriculture, Forestry and Fisheries. The Committee was not taken onboard regarding the food. Active Aging and empowering people with disability was intended to engage people to be self-sufficient, but it was cooked food. Where did those recommendations come from? There was no control. How did they spend so much on cooked food? The Committee had gone to Camperdown. People had arrived and had pretended that food was cooked there but there was no electricity. They had seen some people eating on their own, without any children, so it was not a community meal. The Committee was also not happy about the situation in the Free State. Before they went to the National Assembly, the Committee needed the issue resolved. In some villages, they were cooking food for other villages a long distance away. As for Meals on Wheels, she wanted to know who benefitted from that programme and how much that man got from that arrangement. Those were things that the Committee had long been concerned about and hoped to have resolved so that all the money that went into food was properly utilised. Dr Madlopha appreciated that the Minister had outlined some challenges during the listening period. What changes would there be for 2018/19 to ensure more consistent quarterly spending and that quarterly underspending did not occur? She was concerned about food distribution. How was DSD going to respond to the challenges of the food distribution centres, CNDCs, and how would DSD maintain the sustainability of food? Various centres were complaining about food. She asked whether DSD had a mechanism to assess the impact of the programmes on the lives of people. Did the Department really analyse the programmes so that it could say which programmes had had an impact? DSD was not a welfare Department, but a development Department. Children were not linked to programmes to ensure that they were developed. Were the people not reliant, instead of self-reliant? There had to be a programme to make people self-reliant. A lot of new beneficiaries would flock to DSD unless there was a targeted system to take people out of the social system. Dr Madlopha referred to the comments on the White Paper. She appreciated that the White paper would be tabled at Cabinet by the end of 2018/19. It was important to finalise the White Paper. Ms B Abrahams (ANC) said that when the Committee had gone on oversight visits to see the food programme, Members had had a discussion on the issues. The Chairperson had challenged her to cook as the soya had been prepared in the incorrect way, which was why the children did not eat it and it went to waste. Perhaps it was necessary to change the ingredients and the preparation to make it more edible, especially for the children. She had some recipes from her own community where they cooked food that children ate and enjoyed. Ms Abrahams was concerned about all the vacancies in the Department. She saw that 95% of posts were to be filled. Did that include posts in senior management where nine out ten managers were in acting positions? Eight out of nine posts in the CEO’s office were vacant. Was there a timeframe for when the Bill would be submitted so that the progress could be tracked? If documents were not managed, DSD could flood Cabinet with many documents at the same time. Regarding the appeals and adjudication relating to an issue amounting to R37 million, what were the consequences if the manager was found guilty? She asked the CEO for a break-down of the Household budget. Ms Masango was confused by targets to “submit, facilitate and monitor”. How did one measure such targets? She had a question regarding the budget. There was a budget for office accommodation that had been increased, but during oversight visits to Uxolo where DSD was squatting with the Department of Home Affairs, the Committee had found that they were operating from a mobile unit with computers that did not work, and five to six social workers had been sharing an office since the 1990’s. The budget kept increasing but was the money going to the offices in Pretoria or to the offices where people were actually doing the work? In Uxolo, there was no waiting room and beneficiaries sat outside in the sun. Could the funds go to where the officials were working in the service of DSD? She was very happy to see some money going to the social services profession because the issue had been on the agenda of the Committee for quite some time. She asked about the reduction in social grants and social relief in distress. Why was it decreasing? And what was the Department doing about the NPOs that were not being paid? Was the money given to provinces? What was the problem there? The Chairperson asked for a definition of a target because the one pointed out by Ms Masango was different from the rest. Cutting and pasting of documents reduced meaning. Officials should not cut and paste. What had happened to the budget where service providers could not start e.g. in Graaff Reinet? The Department appointed service providers regardless of the number of service providers in a town. There had been no food parcels in Graaff Reinet for a long time and poverty was grinding in the town. What had happened to the food parcels and what had happened to those people who had not received food? The social workers should be the ones to determine who should get food, but it was the ward committees and councillors’ decision as to who got food. People had to fill in forms to prove that they had received a food parcel before they received the parcels. It was open to corruption. Who else, other than DSD, had to approve that people needed food? Ms Malgas referred to the targets on anti-substance abuse in the APP which remained the same over the three years. The APP also referred to the White Paper on Social Welfare. It had been due in the previous financial year, but the target had been repeated for the coming year, so that was a target missed in the past financial year. She could like a breakdown of targeted dates. She asked about the compensation of employees. According to which organogram had those costs been budgeted? The Minister had said that posts would be frozen, so could the Department reconcile that with the projected costs? She would be happy to have the response in writing. She was concerned about the employment of social workers. Grants had been given to universities for second, third and fourth year social workers. How many of those social workers were to be employed? That would help to measure the budget. There had been a reference to Early Childhood Development (ECD) but nothing about adoptions. Why had that been left out? She asked about the decrease in grants but was not sure whether it was a question for DSD or NDA, the development arm of the Department, as it was the NDA that was going to have its budget cut. The report of 18 April had been untidy with plenty of cutting and pasting and duplication. The report looked better that day. Within the Annual Report, she had noticed that no achievements had been recorded, but there had been achievements. The following year was an election year, so the Members needed to be alerted to the achievements. Ms Mogotsi had two questions under Programme 4 about how the DSD would monitor the provinces. How far was the Department in terms of the deadlock in foster care? The Committee had not had a presentation since November 2017. Human rights issues were an issue so the DSD should give update at each meeting about how many adoptions there were in South Africa, and internationally. After 1995, youth care centres and places of safety had experienced lots of abscondment and secondary abuse. Were the multidisciplinary teams working? She noted the issue of funding for social workers. DSD had to make a presentation on the situation regarding social workers. Did they understand the ethics of their profession? She referred to the implementation of the Amendments to the Children’s Act. How was DSD going to monitor the implementation? There had been draft policies since 2013 on disability and community development. DSD was not doing well on the issue of disability. The APP talked about developing policies. Were there no policies before? Or did the Department mean to talk about a review of the policies? The Minister thanked the Members for the questions. There was a draft evaluation of the NPOs by DSD and the Department for Planning, Monitoring and Evaluation (DPME). At some point, the Department could share what was happening in that space. It was still based in the past, but things should have changed under democracy. The Department would share its perspective with Members even though the evaluation was not conclusive. There was some confusion about whether a question had been about divorce or adoption. DSD would respond to the question of adoption. The Minister noted that Members were concerned about the draft policies. The policies had to be aligned to the National Development Plan and she had to ensure that the policies were aligned to the total strategy before they could be finalised. There were numerous policies being developed. One of the issues raised when she had first met the officials of the Department was the issue of moving away from a welfare state to a developmental state. What DSD was adding could not be afforded in the current economic climate. That was critical because as the policies were developed, the country was going to end up with a welfare state that South Africa could not afford. DSD had to re-position itself. She was not popular with the Department for pushing the developmental state. The Minister understood that the Committee was concerned about the court issues, but she would leave the Department to speak to that as she did not want to make an error when responding. When one talked about Children’s Act, one had to consider other legislation and Cabinet had that morning being dealing with the Children’s Act as presented by the Department of Justice and Constitutional Development. There was a need to ensure that the laws were aligned across the departments and the laws had to talk to one another. How did DSD inform recipients? Plans had to include Batho Pele and how the people would be informed. Plans could not just be about administration. The Minister was also looking for achievements and non-achievements, but it had not been included in the reports. She had also raised concerns about the various programmes as she was uncomfortable and very worried about the resources that went into those programmes. One of the officials had promised her a report but she was on the same wavelength as the Committee in respect of programmes. She was concerned about cost implications. The Department needed to make targets measurable. The point by Ms Sonti about the issue of advantaging relatives and friends was a big challenge because it was about honesty. Allowing family to jump the queue was a huge problem for the country but she did not have a solution. It was a cross-cutting issue. Even in employment, people took their own friends and left others without jobs. The Acting DDG said she would not respond in extensive detail to all questions in the meeting but written responses would be provided. She would ask the relevant officials to provide responses. The issue of Graaff Reinet was a SASSA matter and not a Departmental matter. The Chairperson advised Ms Vilakazi that DSD was responsible for SASSA and had to monitor and evaluate SASSA’s programmes, and to ensure consequence management, when necessary. She told the Department that the social grant should never be an endless thing. Once you have had a child, you get a grant, but when did people move on? Some villages had 100% grant recipients. Sometimes only a quarter of a province was working, and everyone was living on the taxes of those who did work. DSD could not continue increasing the number of people receiving grants. The Department was running away from a developmental state to a social welfare state. Mr Thabani Buthelezi, Acting Deputy Director General: Strategy and Organizational Transformation, DSD, said that monitoring and evaluation in DSD was in line with the monitoring and evaluation of the Department of Planning, Monitoring and Evaluation, and DSD was aligned with priorities. Since 2011, when Cabinet had approved the Policy Review Framework, the Department had conducted various evaluations, e.g. ECD monitoring and evaluating to inform work on the policy. The child grant was a major evaluation that had been conducted. It was a hugely expensive process and had cost R25 million for just a few beneficiaries, but the results had value. The grants were achieving results because there were better outcomes for younger children. DSD worked with matriculants on grants and they remained in school and did better than non-grant recipients. To make sure those young people retained protection measures, grant-recipient matriculants had automatic pre-approval from the National Student Financial Aid Scheme (NSFAS) for finance in tertiary education. Four out of the top 20 matriculants had been grant recipients. The Department would also be evaluating strategies, the foster care programme, the food security programme and capacity-building programmes by partners. How could the Department meet targets? Regular performance reviews were held. The Chairperson stated that DSD had still not dealt with the issues raised by the Auditor-General about the lack of consequence management, the instability and so on. Mr Buthelezi was not responding to the assessment of the Auditor-General. The United Nations had monitored grant beneficiaries and had found that other people were using the child support grants and the children were malnourished, stunted and emaciated. The Department of Basic Education had found that children in the Foundation Phase could not write. The programme was not working, so how could DSD say that it was? Dr Madlopha added that DSD had not responded to the Auditor-General’s findings and that those had been repeat findings. The Chairperson asked what tools DSD had to evaluate. It sounded as if Mr Buthelezi was saying upfront that DSD was not changing anything. Mr Motsete Letsoalo, Director: Monitoring and Evaluation, DSD, responded to questions about cooked meals. There were 226 CNDCs in the country but DSD only funded 84. The rest were paid for by the provinces. DSD provided guidelines as to how it should be done as well as recipes, but the implementation was not good as people did not report problems, such as broken fridges etc. The level of implementation was problematic. Well-designed menus were provided to the centres and the Department of Health also visited the centres. DSD intended visiting all the CNDCs in three months. The menus provided a different source of protein each month. The national Department spent R56 million out of R180 million. He pointed out that SASSA implemented the food parcels programmes and there were guidelines for provinces as to how it was to be done. DSD was aware of the problems and that NGOs were paid late. DSD was working with Treasury on a three-year funding plan for NGOs. As Thabane Buthelezi had mentioned, DSD was doing an evaluation of the impact of the food programme, working with the Department of Health. Statistics from Stats SA showed that the number of people who went hungry had been reduced and DSD could claim some credit for that. DSD was working on reducing stunting and malnutrition in children and had achieved success in reducing the number of children with stunted growth and malnutrition in the Western and Northern Cape. DSD had developed guidelines for provinces. However, he was not denying that there were challenges. For example, the Free State was not following guidelines. The Chairperson was disappointed. Research reports could be subjective if the questions were posed in way to give positive reports. The food programme did not work. They did not have a developmental approach. The Committee had gone to Harrismith where Members had met the manager and founder of the CNDC there. Members were begged to buy cakes, but the cakes had not been baked there. The centre had bought the cakes because funds had not been provided equipment in the CNDC for baking. DSD management was not developmental in its approach. Internationally, the practice was not to give out food. Why did beneficiaries not buy produce produced by beneficiaries? DSD had the biggest budget and even the Department of Agriculture complained that DSD had all the money. For example, there was water in, Camperdown but no one was growing food. Instead everyone bought from the wholesalers. Food handling was a serious matter, hence the outbreaks of Listeriosis. They were cooking for people who just happened to be walking by. No children had been at the Centre in Harrismith to eat. One could not see real improvement and the DSD could not claim that they had shown improvement. DSD was not even working with the NDA. The budget was misplaced and misused. It fell under community development. How did it talk to community development? Ms Conny Nxumlo, Deputy Director-General: Welfare Services, DSD, informed the Committee that DSD had an adoption register. Details were in the operational plans, but the Department had been unable to include everything in the presentation. The previous year there had been Amendments to the Children’s Act to clarify the definition of a social worker because magistrates had refused to accept government social workers’ reports in court. There had been issues with the Council for the Social Services Profession, but they had been resolved. The legislation had been gazetted in January 2018. The Department needed to give the Committee a progress report on developments in foster care since the High Court order had been issued on 28 November 2017. The order instructed the Minister to come up with appropriate legal solutions and the provinces had been instructed to sort out systemic issues such as the tools of the trade, supervision and the suitability of social workers, etc. She had the court order and would explain it to the Committee. DSD had to report to the High Court on a six-monthly basis. The next report was due on 28 May 2018 and would soon be submitted to the Minister for approval. Isibinde was a programme started by the National Association of Child Care Workers (NACCW) which had set specific targets for specific timeframes. The project had ended, and the programme was being rolled. Only 1.3 million children had been reached during the pilot. There was a need to enable more children to benefit as it was one programme that did work. In 2017, 1275 children who had been given homework assistance at Isibinde sites had passed Grade 12 and 140 of those had attained distinctions. There were 4 300 social workers in the system. DSD had appointed 567 social workers in 2017. The backlog for social workers in DSD was 3 000. Treasury had to look at drop-outs, so the money not being used for studies could be used to appoint social workers. There would not be new money, but the amount would be sustained in the outer years. NSFAS was the implementing agent of the study. The problem with social workers was that they could not understand the Children’s Act. Also, there was a high turn-over of social workers so the master trainers in provinces had to be well-trained. As DSD implemented, it could identify any legislative problems. Ms Nxumalo’s branch had more than ten Cabinet matters and she would have to look at the timing of the matters to spread them over the four quarters. Foster care would have to be written up as a policy and then an Act would have to be passed as required by the High Court. It would take another 18 months to resolve issues so that the legislation could be finalised. DSD was working towards the transformation of Children and Youth Care Centres (CYCCs) but there had been problems in the Walter Sisulu Child and Youth Care Centre. The care centres were only a temporary solution to prepare the children for life. The Chairperson said that the Committee always received good reports about what was done in that branch. The social worker issue had been well-managed but DSD lacked input into the curriculum for training social workers. The social workers were not taught to be professionals. They stuck to Section 184. Social workers simply stuck to the law. The Chairperson said that there was a need for an Amendment that would give the Head of Department the right to remove a child. She was concerned that social workers were not recruited from the rural areas so that students might be inclined to go back to the rural areas after training. Social workers were often simply monitors. Many of the qualified social workers had become managers and they themselves had psychological problems, so they were unable to identify social problems. DSD needed to re-orientate social workers. Many social workers had gone into the struggle because their profession was being undermined. Nowadays, they just talked about how much they got paid. How was DSD going to manage accommodation of social workers so that there was privacy and space for those working in the local offices? People did not want to talk about private things when there were other people listening who would talk about what that person had said when they were back in the community. The Amendment on handling abuse was very good. Mr Mzolisi Toni, Deputy Director General: Children's Rights and Persons with Disabilities, DSD, responded to the question of whether the policy was a draft or whether it was being reviewed. He explained that the policy on Services to Persons with Disabilities had to be aligned to the White Paper on Disabilities and to the Social Work White Paper. There was a concern about the slow movement in activating issues around disability. The policy on the Rights of Persons with Disabilities had been presented to the provinces by the Deputy Minister and the Department had capacitated the provinces. The provinces had to give consideration to how to mainstream disabilities and had reported back to DSD. DSD had received reports from civil society organisations that had concerns about the policy. DSD had also met with all departments the previous week to respond to the key issues. The policy would go to Cabinet in August. A report on accommodation also had to go to Cabinet. DSD had to ensure that the Minister was able to manage the six documents from DSD that were going to Cabinet in the next few months. The DSD was the Secretariat for Disability and was preparing the report for 2017. The task was ensuring that all departments were keeping up with the policy requirements. The Chairperson said that sometimes everything was prepared for people with disabilities so that other people struggled even to get into a building. Mainstreaming sometimes resulted in people with disabilities not wanting to mix with others. For example, blind children believed that people with harsh voices were ugly. Disabled people were sometimes offended by people who always wanted to offer help. The Chairperson thanked the Minister. She understood that Cabinet days were the same days as the meetings of the Portfolio Committee on Social Development. Mr Appel addressed the question about consequence management and stated that quite a bit had been done in this regard. He acknowledged that the Department needed to achieve in terms of performance. Dr M Madlopha had asked about the peaks in spending, especially in Quarters 2 and 3. It was during that time that most of the activities took place and they could not be changed, which meant that spending would continue to peak in Quarters 2 and 3. The Household budget included food relief, and transport. Reductions had been effected by National Treasury which had reduced the goods and services budget to almost nothing. The compensation of employees had been budgeted on the 2015 organogram as that was the one that had been funded. The CFO stated that he dealt with deviations and action was taken against relevant officials. Thamo Mzobe, CEO, NDA, made the presentation. She thanked the Chairperson and Members, and the Minister for her strategic guidance and her political leadership on how to navigate the areas of community interventions. She appreciated the Minister’s inputs and leadership. NDA had three programmes and 14 targets for 2018/19. NDA was an agency for government, not just for DSD, but there had not been much integration of its interventions and it seemed that NDA was working mostly with DSD. The NDA interfaced with SASSA in terms of job creation. Its engagement with DSD was in terms of job creation and economic development, youth development, women participation, education, health and international work. NDA also worked with the Department of Basic Education and the Department of Health. NDA did not duplicate the work or the resources of the departments but worked in collaboration with them. Funds granted to NDA through DSD were for programmes that eradicated poverty and to strengthen institutional capacity in the non-profit organisations (NPOs) and to understand the vision of what they wanted to achieve via their programmes. The NDA facilitated debate on policy issues for the departments and NPOs and undertook action research. Ms Mzobe explained that NDA was mandated to act as a conduit for foreign donations. Treasury funds were given to the NDA to perform its support and administrative function, and only to pay for projects if there were additional funds. It was often not clear to Treasury, departments and NPOs that the Agency did not fund activities but facilitated them. The Agency had to create and maintain a database of civil society organisations and share it with state institutions and civil society, but NDA did not have an automated database. The aim for 2018/19 was to develop a comprehensive database that could be accessed directly by government and civil society. NDA classified civil society organisations and explained to them the relevant legislation, especially in respect of compliance. They supported civil society organisations when the organisations were not managing. The organisational structure had been reviewed in order to allow the Agency to expand to the provinces and to cope with the reduced budget and shrinking resources. The aim was an unqualified audit opinion with findings in 2018/19 and a clean audit in the outer years of the MTEF. In previous audit findings, lack of compliance with regulatory frameworks had been a failing and so NDA was targeting 100% compliance to regulatory frameworks in 2018/19. An aim of the core programme of supporting civil society organisations (CSOs) was to increase the number of CSOs that received assistance from the NDA. NDA was currently working with 3 500 organisations but planned to increase the number to 8 500 in 2018/19 with the support of the local offices in the provinces. There would be a focus on organisations that worked with people living with disabilities. The NDA would implement a monitoring and evaluation system to determine its impact on civil society organisations. Empirical research would inform policy development. Ms Cheryl Yeni, CFO, NDA, explained that Treasury had to reduce spending by R 85 billion and all departments and entities were expected to contribute toward that reduction. The 2018/19 allocation gave NDA a budget of R202.5 million compared to the 2017/18 budget of R200.9 million. That was a 0.8% increase from 2017/18. NDA would do more with less as the Agency would ensure higher production. In 2019/20 and 2020/21 the allocation went back to a 6% year-on-year increase. Programme 1 was for Administration, including operating leases, audit fees, marketing and communication, and IT costs etc for the whole organisation and absorbed 45% of the budget. 55% of budget was for operational costs. The compensation of employee costs seemed high, but the job of the NDA was to support civil society and that required human bodies which was why the number of development officers seemed high. She made sure that the NDA was tracking non-financial performance so that it correlated properly to the costs thereof. NDA had implemented strict control of travel and accommodation costs. Meetings were to be consolidated to reduce costs as part of the plans to manage with the reduced budget. The CEO submitted the strategy and the APP to the Committee for noting and recommendation. Ms Abrahams asked about monitoring and evaluation (M & E). The NDA had said that it utilised the M & E facilities of DSD but there was a budget attached to it. Had that arrangement ceased or was DSD still assisting? How frequently were organisations monitored? How sustainable were all the cooperatives and CSOs? Was there a tick box approach to count the numbers or were those CSO’s that NDA had really engaged with and supported? What was the difference between Research and Development and the development officers? Where did the development officers come from? Were they outsourced? Co-operatives often did not have the capacity to run businesses. Did the NDA intervene and support them? Did they align cooperatives with others? What strategy did NDA have for aligning the database? How long was the mentorship programme? She pointed out that she fully supported the mentorship programmes. How long did it take for trainees to exit the programmes? How long did it take to identify a CSO, and did the NDA assess the direction they wanted to take? Dr Madlopha checked on how the NDA planned to strengthen working relations with the stakeholders. Which stakeholders were they working with on the ground? In KwaZulu-Natal, the Committee had received a report that local government did not know the NDA. Excluding traditional leadership would not yield good results. The Agency had to work with traditional leadership. The NDA needed to improve the relationships with traditional leaders and get buy-in. Local stakeholders knew DSD, but not NDA. The municipalities had Integrated Development Plan (IDPs) committees and stakeholder forums. Was NDA part of those structures so that it prevented duplication of programmes? How did the entity do it? The Committee had seen a youth programme in which the youth grew tomatoes. It had worked very well, and the youth had a market for their produce in the supermarket. But the scope was too small, and supermarket wanted larger quantities of tomatoes. The youth had not got support to increase their produce and the project had come to an end. The NDA had given the number of CSOs targeted for assistance in developing their structures in 2018/19 as 940 CSOs. How would NDA identify those CSOs? Which CSOs would be linked with resource opportunities in 2018/19? The NDA had targeted an increase in the number of reports, but the budget had declined. Outcomes were low so how were they going to succeed? Why was NDA budgeting for monitoring and evaluation if DSD was doing the monitoring and evaluation? Ms Masango thanked the NDA for the presentation that was most informative. Her colleagues had covered most of her questions. The Agency had to make sure it completed a database which was one of the things that the NDA had been set up to do. What was the current status of the database? It sounded like the Agency was in the process of decentralisation, and if so, would it be able to deliver? To what extent had the Agency been able to mobilise resources? What was the lifespan of a CSO, on average, understanding the different levels of capacity? She could not say strongly enough that duplication was a real danger, and she wanted to know how it was being managed. Ms Malgas asked NDA about the budget decreases. Questions had been asked on monitoring, but she would like to know how it was going to affect their budget when it came to the implementation of cross-cutting policies. How did they fit into the population development policy, which would help with research? Ms Mzobe noted that Ms Abrahams had asked about the mentorship programme. One mentorship programme in the Eastern Cape had been undertaken in conjunction with DSD because the NDA had not had funds. The NDA identified co-operatives. There were mentorships of 12 months for those who had done sewing before and an 18-month mentorship programme for those new to sewing. In KwaZulu-Natal, they had mentored groups that were currently teaching others to sewing but those ladies were not funded when they were training others, so it became a problem and NDA needed to compensate them for doing that training. The ladies sewed school clothes and clothing for weddings etc. Some people approached the NDA, such as designers. It carried more weight if NDA went with the ladies to look for jobs. In Limpopo, NDA had huge co-operatives doing sewing. NDA had given them bales of fabric. There had been pockets of successes but, with limited resources, the NDA had not yet reached its targeted outcomes. NDA had a Research and Development unit in Programme 3, which had an element of monitoring and evaluation. Development officers were field workers, like Community Development Practitioners (CDPs). They were on the ground in the provinces and had been given tools to assess the organisations. The target had been informed by the target of the previous year, and more and more people were coming to be assessed in terms of what they were best at. The R&D unit had developed those assessment tools. How did they grant funds? The NDA had a hybrid grant-funding policy. It called for proposals, but the main approach was to go to communities and where NDA undertook programme formulation, dependent on the interest and capability of the community. The NDA Act and mandate stipulated that it was the Board that did the final award of grants. The NDA was pushing for strengthened relationships. It had partnerships with municipalities. In semi-urban areas, it was still a struggle, for example in KwaZulu-Natal. IDP did participate but input had been thin. The President had said government had to engage with civil society, so departments were warming up, such as the Department of Justice and Constitutional development and SALGA. The youth project would need intervention. The NDA did hold hands, but it was really an unlocking agent. CSOs developed at different rates so there was no precise timeframe. The example of the youth was one where the organisation had become an SMME and NDA did not work with SMMEs. If an organisation had a market, it found success more quickly than others. To manage NPOs, NDA had a compliance unit. The unit issued a compliance report and financial annual report and then, after the first financial year, it would say how successful an NPO had been. Difficulties arose because of incapacity or because there were inter-personal issues. Often office bearers and members were in conflict. There had been a decline in research reports. The Minister had noted that and had advised the NDA to integrate with DSD instead of each doing it alone. Ms Masango had asked about CSO database. The Agency had a manual database, and the national one was regularly updated. The ICT strategy had been approved and the ICT programme would be introduced in phases. Human capacity would always be a struggle. NDA needed the Committee to help them to get support from all those other departments. The Agency used the budgets of other departments that were not yet using their budgets for community work. Where there was attrition amongst the staff, the NDA split the salary of some positions so that it could appoint more than one development officer with the funding. Development officers were a priority. In respect of the budget, the difficulty was that in the last quarter, NDA could not do much as it might be considered fiscal dumping. The Committee and Treasury did not understand that the fourth quarter was spent in negotiating and planning. Ms Sonti had asked how many people constituted an NPO. The minimum number was five persons for office bearers. NPOs often opened with the intention of making an income but that was not the purpose of an NPO. A cooperative could make money as the members were shareholders and they were entitled to share profits, but that, too, led to a lot of interpersonal problems. DTI needed to come out of its offices and guide the cooperatives. Mr Sunshine Ngobo, Executive Manager: Corporate Services, NDA, added to some of the CEOs answers. Regarding the ICT master plan, he said that, as a national entity, the NDA had a system on which CSOs could register. SASSA used a system-based database whereas NDA was looking at a system that would be rolled out nationally to departments and the public. It talked to the de-centralised model in which services were delivered at district level. The information needed to be available at a click of a button. The strategy had been guided in terms of the development of the ICT programme. There were limited resources, but NDA was hoping, at least, to get to district level, if not local municipalities. There were 56 districts and at the moment NDA had data on about 50% of them. Mr Ben Mnule, Senior Manager for Planning, NDA, explained that the NDA had partnered with government research institutions where together they had looked at issues of poverty and other thematic issues. The programme had produced quite a number of research papers. The NDA was not essentially a research organisation but the research informed development. In addition, NDA had a monitoring and research unit as per governmental requirement. All the pressure points were monitored and evaluated. That produced lessons that were part of the production of the research unit. NDA had to improve its own operations as it was essential for the country to have access to a depository for information that could be used for refining development policy in the country. NDA was not dependent on DSD. The research unit developed policy and procedures and dealt with very specific areas. The research unit had people who trained the new recruits, teaching them how to analyse the needs of a community because the entire unit worked on an analysis of needs. Ms Malgas had asked for details about the budget over the MTEF and how it would affect the NDA. The CEO explained that Treasury had wanted to cut the budget by R 50 million over the MTEF, but the NDA had built a strong case so that in the end Treasury had cut only R10 million over the MTEF. NDA would continue negotiating with Treasury regarding that R10 million. The Chairperson suggested that Members should read the NDA Act as it was an old Act. There had been a dependency on NGOs prior to 1996, but there had been support from outside the country at that time. NGOs did not want to change. The traditional leaders and ward councillors were on the ground and could check if there was a need for an NGO, but they were sticking to old ways and were not building strong community organisations. There was a need for community education. South Africa had failed because people burned libraries when they wanted a clinic. People did not understand that if they burned down a building, there would not be funds to build another one. However, other methodologies for getting their grievances heard were failing them. Sometimes they just wanted money. Values had been devalued. The only values were about the kind of car one drove. It was about where one lived and what one drove. There were no real values and so poor villages had no value. The Chairperson said SALGA should be sending NDA to communities where there was a need for the NDA services. She supported the NDA as she could see that they had changed direction. She suggested that NDA could look for funding overseas. The Chairperson welcomed SASSA, especially the Acting CEO and Ms Ramokgopa, whom the Committee had got to know quite well. Mr Abraham Mahlangu, Acting CEO, SASSA, introduced the presentation. He assured the Committee that SASSA had complied with all requirements of the courts. SASSA had entered into an agreement with SAPO to deliver services. The agency had already insourced a number of functions, including beneficiary enrolments using biometrics and the management of the fund. There was a growth in the number of beneficiaries who would be accessing grants. The programme to use biometrics would intensify as biometrics would ensure that there was no double-dipping. Within the reduced budget, SASSA would re-prioritise to make sure that the social security services did not suffer. Ms Raphaahle Ramokgopa, Executive Manager: Strategic Management, SASSA, made the presentation in which she said that all efforts in the agency would support the SASSA slogan of ‘Paying the right social grant to the right person at the right time.’ Key in 2018/19 was the partnership with SAPO. The judgement in the Constitutional Court had had an impact on how SASSA viewed its work. The Inter-Ministerial Committee (IMC) had asked the entity to review the way that cash payments were handled, but the priorities remained the same. The Administration Programme was working towards an unqualified audit outcome and effective and efficient human resource management. The structure had been reviewed to incorporate the new functions that had been insourced, such as the biometric registration of beneficiaries and managing the financial aspects of payments. Labour relations had been incorporated in the APP so that SASSA could focus on consequence management. SASSA would also work on the infrastructure review plan, especially of the service points. All staff would use biometric access management to prevent fraud by staff using a password belonging to a co-worker to commit fraud. The upgrade of the network connectivity would be prioritised to improve efficiency in local offices as the system had suffered from overload because SASSA had grown its use of IT. Finance would develop a system to ensure that no one was ever over-paid and that all invoices were paid within 30 days. Programme 2, dealing with Benefits Administration and Support, would reduce turnaround time for grant applications to ten days. Although a turnaround in a single day was happening in urban offices, the satellite offices that dealt mostly with older persons, children, and persons with disability, took longer to deal with applications as they had to be sent to the nearest SASSA office. Processing of foster care grants was underway. 130 000 grants were due for renewal. SASSA would work with DSD on the issue of foster care grants. The Integrated Community Registration Outreach Programme (ICROP) was a key programme for SASSA. It was a priority for SASSA to phase out the current service provider and to phase in the new service provider, SAPO, from April to September 2018. SASSA was migrating existing beneficiaries from CPS to SAPO. Regulation 26A deductions would be handled through Exceptions Management and SASSA would maintain the database. Biometrics had been taken over from CPS and would be done by SASSA staff using SASSA equipment. SASSA was working on reducing the pay points by 20% where the pay points were in the same area as SAPO outlets, and SASSA was working with communities to migrate beneficiaries to the SAPO outlets. Second tier merchants would provide services where SAPO did not have a presence. Mr Tsakeriwa Chauke, CFO, SASSA, presented the SASSA budget. The salient features of the budget were that the bulk of the Agency's budget, about 92%, went towards contractual obligations i.e. cash handling fees; compensation of employees; leases and property payments; computer services, medical assessments etc. The cost of the contractual obligations had increased in tandem with factors such as the CPI and any expansion aimed at improving service delivery. The increase of Value Added Tax by 1% to 15% would have an impact on the budget. Adjustments had to be made to the VAT increase on the contracts that SASSA had procured. The baseline for 2018/19 was R 8.2 billion, including return cash surplus. The funding model for SASSA included the R7.7 billion transferred from DSD, plus the R585 million return cash surplus. R400 million would be spent on ICT and handling fees were R2.3 billion. Treasury had filed the transition fee with the Constitutional Court and was talking about R19.48 for merchants or ATMs using biometrics and R108 for the enrolment process. The six main categories of expenses totalled R7.1 billion, leaving R585 million for operational costs, of which travelling, and communication would take up about R200 million. Data clean-up and recovery had been budgeted for and all documents would be scanned to the IT system. R9.2 million had been set aside for the construction of offices in the Northern Cape. Ms Tsoledi asked for clarity on the cards which would be used by beneficiaries as cards would be expiring at the end of the year, but there was confusion amongst beneficiaries. Ms Abrahams wished the Acting CEO luck. She noted that the vacancy rate was concerning. Would all executive management level positions be filled, including the vacancies in the CEO’s office? She also expressed concern about access to grants in rural areas. How did the reduction in cash points impact on rural areas? SASSA had spoken of a network upgrade in 116 offices. How were those 116 offices spread across the provinces? What infrastructure did SAPO have? With all the lease payments that SASSA was making, could SASSA not rent to buy? Ms Mogotsi asked about the target of an unqualified audit outcome. How had SASSA addressed the previous year’s findings and what measures were in place to ensure an unqualified audit? Were the posts of the executive managers from the provinces to be filled permanently as there were eight out of nine Regional Managers in acting positions? She asked if the cleaners were in funded posts. Why were they not employed permanently? Ms Masango thanked SASSA for the presentation and welcomed the new Acting CEO. The Minister had indicated that the previous Acting CEO had returned to her post as Regional Executive. Was the project leader being asked to go back to North West? It was vital to ensure communication with beneficiaries so that they knew what was going to happen. There was a lot of uncertainty amongst the beneficiaries and a need to ensure that no one fell between the cracks. The CFO had said that the handling fee was huge. Once the institution was fully operational, would the fee fall away? The CFO had said that, by not appointing people, they were saving money but there was a need to appoint people so that they take responsibility for their jobs and only people fit for the job should be appointed. Why was SASSA involved in construction and not in grant payment? Was construction not the realm of the Department of Public Works? Ms A Khanyile (DA) said that after the drama of SASSA, Members were expecting to have a change of management. How could SASSA fill 95% of the posts while they were in the process of reviewing the human resource plan? Were they integrating staff if there was to be a new structure? Were the labour representatives aware of the structural review? Which provinces would be most affected by the 20% reduction of cash pay points? Had SASSA talked to the beneficiaries? 30 high risk issues had been flagged. In future, the Committee wanted to know all risks, but could the CFO share one with the Committee? The Acting CEO said that the old card expiry date was at the end of December, but beneficiaries could change at any time. The swop and replacement process was already underway and would be complete by December, if not sooner. There were eight out of nine vacancies in the Office of CEO, but the new Minister had to be taken through the process before appointments could be made. The target of 70% fraud cases to be investigated had been set because some cases took a long time with SAPS etc, so SASSA was trying to measure what could be finalised in a financial year. 30% of fraud cases might overflow into the following financial year. 116 offices were to be upgraded in respect of the bandwidth required and the size of the operation to be run. Some offices did not need to be upgraded as the infrastructure was adequate. The Chairperson asked for clarity on the questions that Ms Masango had asked about why DPW could not do the construction of buildings so that SASSA focused on its core function of grants. The CEO stated that upgrading started when the size of the beneficiaries grew, so that upgrading occurred before the system collapsed. Dr Madlopha asked exactly where the offices were located. She stated that the office in her constituency had no air conditioners, etc. Could SASSA provide the Committee with details of where the upgraded offices were? Biometrics should eliminate fraud, not just reduce fraud. Why was it not being eliminated? The CEO explained that depending on the footprint in an area, SASSA was looking at construction of offices, using SAPO offices or infrastructure that might have been closed but could be revamped and utilised. Dr Madlopha asked if SASSA was doing the actual refurbishment or was DPW­­­ doing it? What was the mandate of SASSA versus DPW? The Acting CEO responded to the questions. He stated that SASSA had regular interaction with the Auditor-General during the year to see how far the Agency was in remedying the issues raised in the previous audit. The previous Acting CEO went to Kwazulu-Natal was as a result of SASSA having reviewed the secondment arrangements. Legal services had provided an opinion. The Head of Communication was present and could add his comments, but the CEO admitted that communication had to be intensified and that communication with beneficiaries would have to be in an appropriate language. He rectified the understanding that SASSA was making savings in not filling positions. The intention was not to save costs to the detriment of human resources. There would be an underspending in Human Resources in 2018/19. On several occasions SASSA had said that it would end CPS services. The only CPS service left at that stage, and which would be ended by the end of September 2018, was the cash payment service. SASSA had taken over the management of reductions and ACB transfers directly to banks, all of which had reduced CPS services. The agreement with SAPO had been signed and plans were in place and monitored on a daily basis to ensure the ending of the CPS service by the end of September. 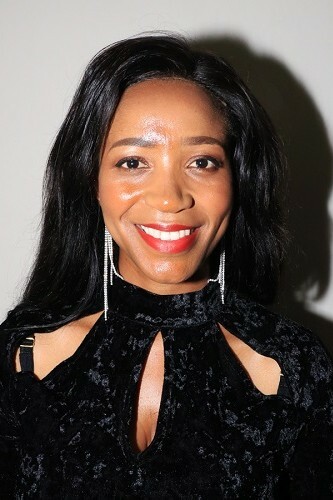 With regard to change management and messaging, Ms Raphaahle Ramokgopa was the change management lead in the Agency and the management of change had begun. SASSA was in the process of giving beneficiaries options. In fact, 80% of beneficiaries had bank accounts, although some did not want to reveal that to SASSA as they did not want the Agency to know how much money they had in their accounts. Some pay points were idling, or not being utilised. Traditional leadership and local councillors would be involved in conveying the message to the beneficiaries. However, SASSA would attempt to have personal contact with all beneficiaries involved in the closing of pay points. Ms Ramokgopa reminded the Committee that she had previously been the Head of Audit, but she had been seconded to the position of Acting Head of Corporate Services. 95% of posts filled was an international standard for a functional organisation. There could never be 100% of posts filled in a large organisation. Even as posts were filled, so others left their posts. Those 95% of the posts to be filled included the Regional Executives but the Minister wanted to consider whether all posts had to be filled. She explained to Ms Mogotsi that the posts under review were not included in the 95% of posts. Those were additional posts that would be determined during the appropriate process. As far as the concept of rent to buy was concerned, that was definitely the intention of SASSA. In terms of the SASSA Act, the Minister had to find accommodation as SASSA was an entity and not a government department. The challenge was that SASSA had been renting in the past when the entity could have built accommodation. When she was working in Northern Cape, there were no decent offices available and so SASSA had gone to traditional leaders to get land. DPW would advise and involve the Industrial Development Corporation in the construction of offices. The Chairperson noted that it was sometimes difficult to get support from DPW. Ms Ramokgopa agreed with the Chairperson and noted that offices without air conditioning was often a problem of DPW. With regard to the appointment of fit and proper people, she stated that all applicants seemed fit and proper at the interview, only to surprise one after the probationary period. Screening was conducted, but attitudes were difficult to identify. There had been 470 fraud cases, of which 322 were finalised. Syndicates had been involved in some which meant that those cases took a long time to finalise. It was unlikely that all cases could be finalised in a single year. SASSA had in-sourced the maintenance and repair of cars, but costs had risen, so management was questioning whether fraud was taking place. She informed Ms Khanyile that there were no posts for cleaners in the SASSA structure. SASSA had originally decided to outsource cleaning, security etc. so there were no posts for cleaners. Getting service providers to distant areas was difficult and expensive, so it might prove to be better to appoint staff to clean those offices in distant areas. The organisational review would not involve staff but there had been extensive discussion with labour. Biometrics was not a new function as SASSA had previously registered beneficiaries using a paper system of biometrics. The new system was an electronic version of ink and paper prints. Before CPS, SASSA had performed the function. SASSA was meeting with unions the following day. Ms Abrahams asked who the head of internal audit was at SASSA. The Committee had been very impressed with Ms Ramokgopa who had answered all the Members’ questions fully in the past. Did SASSA conduct exit interviews? Were they done? There was a high turn-over of staff. Who did the buildings belong to when offices were built on traditional land? Ms Ramokgopa said that the head of Internal audit was a General Manager who would report directly to CEO and not to Ms Ramokgopa in order to maintain independence, but the management of risks had been transferred to her in her acting position. She stated that people often left their jobs because of the managers and not because they had a problem with the organisation, so people did not really tell the truth in exit interviews. However, the entity did make summaries in high turn-over areas and used that to guide HR considerations. Traditional land belonged to tribal authorities and not to SASSA. SASSA would, however, forever have the use of the building. The Chairperson explained that the traditional authorities were custodians of the community. To build a school, clinic etc. on traditional land, the Department of Land Affairs would have to demarcate the area on which the building could take place. The CFO had two questions to respond to. What was SASSA doing to get unqualified audit? He referred to the year-end plan, high risks assessment and ensuring that responsible persons managed the process. One process was referring all existing contracts for a pre-audit and those that did not comply would be dealt with under irregular expenses. Staff were also trained to understand their mandates and the relevant Acts. The pre-audit system was a supply change management compliance unit which would audit all tenders to ensure compliance before contracts could be signed. The financial statements for 2016/17 had been found to be correct in the audit but payments outside of the systems were irregular and suspect. SASSA was checking all posting processes to ensure that there was correct posting of invoices. He had a supportive team and was optimistic about the audit report of 2017/18. Ms Masango had asked about savings in the handling fees of R2.3 billion. Currently, the handling fees related to cash payments and to the SAPO agreement. SASSA also had pay points in SAPO yards and those would move into the SAPO facilities which would save the difference between cash payments and electronic payments. There would be a savings of approximately R 9 -10 million as things were implemented. Saving on cash payments meant moving from the R45 per beneficiary to R 12.53. If everyone chose SAPO, it would be a big savings. That would channel money into improving service delivery and infrastructure. The key issue was whether banks and merchants could grow their footprint in the rural areas. Ms Ramokgopa said that the key to managing the cash component was CPS. To do that, it was necessary, firstly, to ensure beneficiaries got a different card. She cautioned that there might be longer queues while that process was underway. Gauteng was likely to be most affected by the reduction in pay points. For example, the Pretoria Showground was a pay point, but it was surrounded by shops, SAPO, ATMs and banks. Gauteng had 144 cash payment points but 126 were in close vicinity to SAPO, banks or merchants. Eight million beneficiaries had bank accounts but SASSA would not be asking older people to remember pins. SASSA hoped to move child grant beneficiaries to SAPO or banks. They currently used cash payments because they were hiding their bank accounts. Ms Abrahams asked how the changes were to be communicated to beneficiaries. Ms Malgas asked a question coming from her constituency. People who were receiving child support grants did not want SASSA to see their business by accessing their bank accounts. How did SASSA verify if someone had a job? Did the entity use SARS or UIF? Often people were working but claimed benefits. Ms Ramokgopa stated that SASSA could check online with Persal but SARS would not let them check online. She was uncertain as to whether SASSA could access UIF payments. SASSA could ask for a 3-month banking statement, but that was why beneficiaries were avoiding places other than cash pay points. The Chairperson suggested that there had to be a careful approach. Many people had a job, but they cheated and got grants. It should seem more competitive to be in a job because that would encourage people to admit to having jobs. She referred to the universalisation of the child grant as supported by Ms Malgas but noted that that was a long-term solution. SASSA’s communication plan was to communicate via the media plus through traditional leaders, councillors, principals at school assemblies, churches, and African language radio stations. SASSA used commercial media but language was the key to getting to people. Where possible, there would be door-to-door personal contact, which was most effective method of communication. The local office manager would talk to beneficiaries while they stood in the queues, which was another form of personal contact. Imbizos and ICROPs should also spread the message. The Chairperson commented that all those who had presented knew their business well. The Committee was beginning to understand issues a lot better. The matters would go into their report and they would follow the APP as well as the budget. She appreciated that the Department and the entities had been able to make the good presentations and could answer all the questions. There was good progress in the issue of stability.